Now that I’ve got a fancy bartender’s kit, I’ve enjoyed experimenting with some new cocktail recipes. I’ve taken a liking to muddling fresh fruit and herbs to get the juice and flavors I want, rather than using store-bought juice. It lightens the cocktails up a bit and doesn’t make them as sugary. One of my friends worked as a bartender in her college days, and she’s shared a lot of her wisdom, tips, and tricks with me. Recently she was teaching me about infusing my own liquors to create new flavors. I’ve tried infusions before with not a ton of success, but I was willing to try a third time at my friend’s suggestion. My friend shared a recipe she used to make at her bartending job that used cucumber-basil vodka. To get the desired cucumber-basil flavor, I put half a cucumber (sliced) in 2 cups of vodka (I used local favorite Lass & Lions original vodka) and let that infuse for 2 days. On the third day, I added 8-10 basil leaves and let that infuse overnight. After that, I strained everything out, and it was ready for mixing. 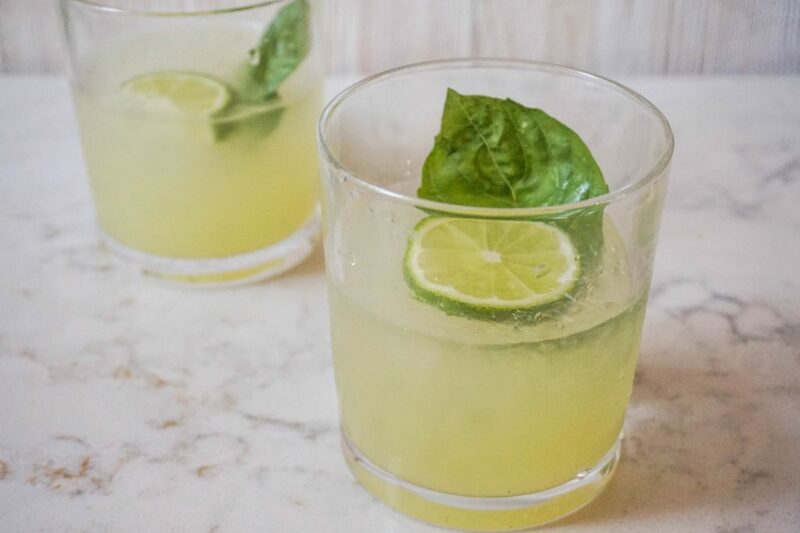 I experimented with this vodka cocktail recipe a few times before I felt like I got it “right.” The fresh lime and lemon make a huge difference, and I love the layer of flavor the basil adds. It’s light, bright, and earthy, with the perfect touch of sweetness—just like spring, which I wish would hurry up and get here. I’m over winter. 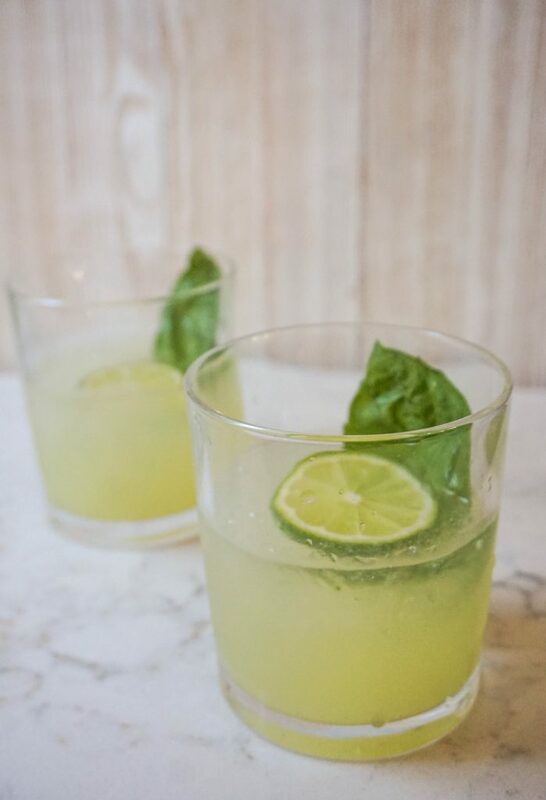 Here’s my recipe for a refreshing cucumber vodka cocktail that’ll whisk you away to warmer spring days. I’m calling it, “Is it Spring Yet?” because that’s what I asked myself as I was making it the first time. 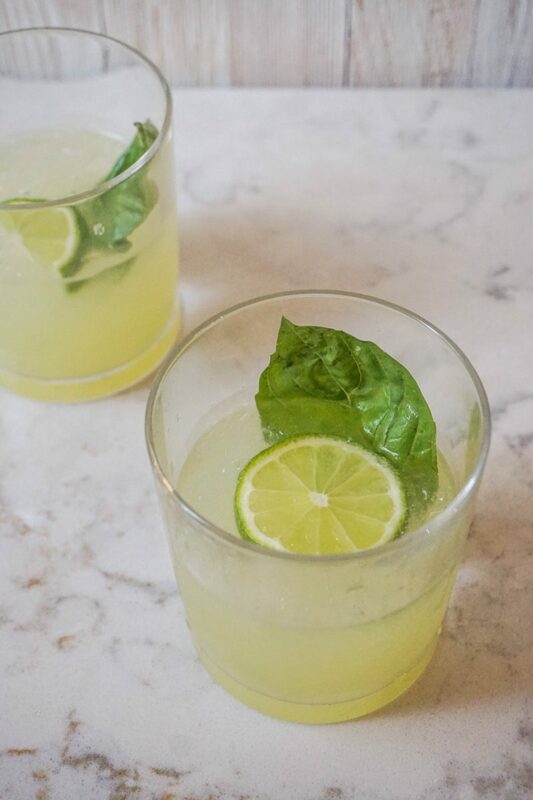 Muddle the lime, lemon, and basil in a jar or shaker. Add infused vodka and simple syrup. Shake for 20-30 seconds to combine. Strain over crushed ice in a rocks glass. Top with club soda or sparkling water. Garnish with lime wheel, basil, and/or cucumber slice. Have you ever made your own infused liquors? What flavor(s) did you make? What’s your spring beverage of choice?